Here are the specific differences between seamless steel pipe and non-seamless steel pipe. 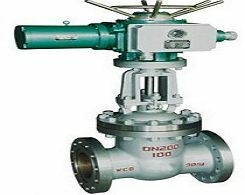 With rapid development of technology, various steel pipes are coming into our views thanks to the different kinds of requirement of construction of society meanwhile the market of steel pipe becomes more and more competitive. However, although there are hundreds and thousands of different steel pipes in the market, according to existence of welding line, they can be roughly separated into two types: seamless steel pipe and non-seamless steel pipe that contains the welded steel pipe. Seamless steel pipe is a kind of steel pipe shaping round, square and rectangle around with hollow cross-sections, which has no seam, while non-seamless steel pipe, which is also called welded steel pipe, is a kind of steel pipe formed by black steel pipe or strip steel being crimped and welded. As we can see, there are big differences between seamless steel pipe and non-seamless steel pipe from many aspects: making progress, property and application. In terms of making progress, there two entirely different types of processing technique of seamless steel pipe: cold-drawing and hot rolling. Compared with hot rolling, the technological process of cold-drawing is more complicated. Moreover, in the appearance, cold-drawn seamless stainless steel pipe is shorter than hot-rolled one and the wall thickness of cold-drawn seamless stainless steel pipe is generally smaller than the wall thickness of hot-rolled one. What's more, the technological process of hot rolling needs high temperature which reduces the resistance of deformation so that a big deflection is achieved. When it comes to making progress of non-seamless steel pipe, according to different types of non-seamless steel pipe, two different kinds of making progress are used in non-seamless steel pipe which includes the welded steel pipe. There are two types of welded steel pipe: straight welded pipe and helical welded pipe. 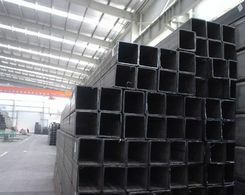 The making progress of straight welded pipe is simple and costs little, but has high production efficiency and rapid development, while, although narrow blank can be used to produce welded steel pipe with big pipe diameter and blank having similar diameter can be used to produce welded steel pipe with different pipe diameters, the speed of production of welded steel pipe is low and the welded line is much longer 30%-100%, compared to the welded line of straight welded pipe. All in all, the making progress of seamless steel pipe and non-seamless steel pipe are quite different, and the different making progresses lead to different property. Seamless steel pipe and non-seamless steel pipe have its own special properties and use. In terms of seamless steel pipe, the thicker wall the seamless steel pipe has, the more economical and practical it is, to the contrary, the thinner wall seamless steal pipe has, the larger cost is spent. What's more, with the limited processing, seamless steel pipe is common in low accuracy: uniform thickness of wall, low lightness of surface both inside and outside, high cost of sizing and existence of black dots. That's why seamless steel pipe is only taken advantage of in the environment with high pressure and high strength. Compared with seamless steel pipe, non-seamless steel pipe has uniform thickness and low cost of production but cannot bear high pressure and high strength. Thanks to properties of seamless steel pipe and non-seamless steel pipe, seamless steel pipe is used in surroundings with high pressure and high strength while non-seamless steel pipe is taken advantage of in environment which has no command on pressure and temperature, such as water tube, gas pipe and so on. Generally speaking, the differences between seamless steel pipe and non- seamless steel pipe are huge. The quality of seamless steel pipe is better than the quality of non-seamless steel pipe which contains the API steel pipe. However, its different use leads to the quick development of construction of society. Next:How Wonderful Seamless Steel Pipe is!